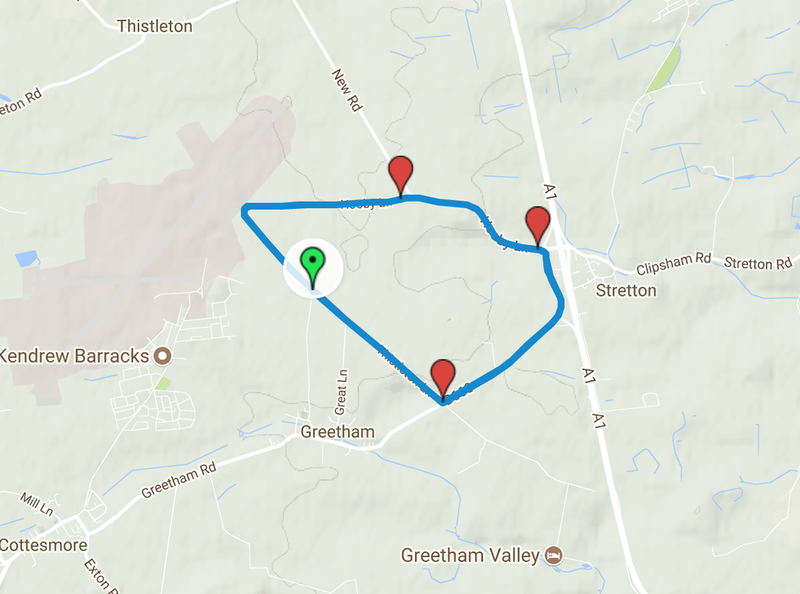 Greetham Circuit - 3 Laps. 12.9 miles. 7.15pm start. Last sign on 15 mins prior to start. £2 VCR members. £4 non-members. Starts at junction between Thistleton Lane and back road to Greetham past Rutland Caravan & Camping.